Hi! I am Delina from Dew This. I like to dabble in a bit of everything from sewing to scrapbooking and backing to home decorating! I am excited to be guest posting today and I have something everyone needs for the summer! I found this recipe last year, whipped up a batch when strawberries came on sale (as they are starting to do again!!) and then canned it so it would last through the winter! Well, you can just make your own little or big batch and keep in the refrigerator for some yummy ice cream sundaes or pancake/waffle breakfasts, or any thing else you want! I hope you enjoy it! 2. 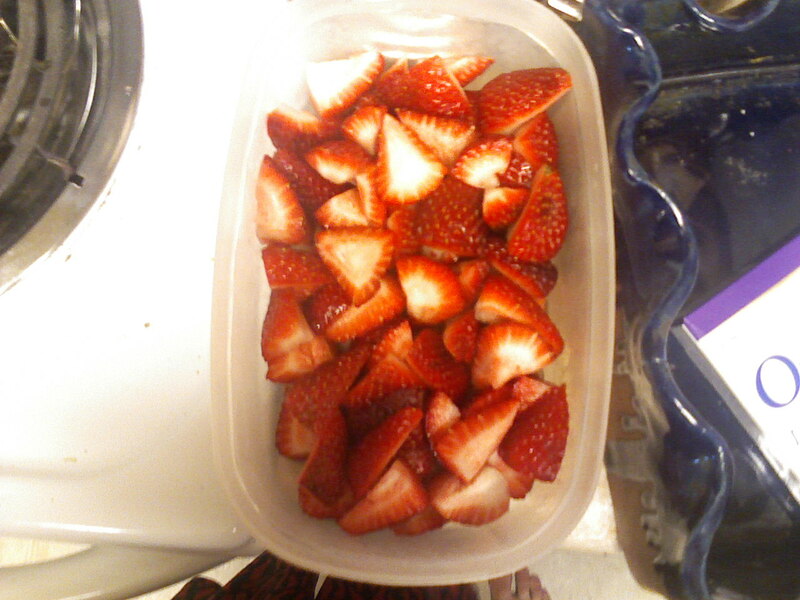 Wash and cut strawberries into fourths. 3. Puree the strawberries in a food processor (I found myself a little tiny one at Wal-Mart a few years ago for $3. Best thing I ever bought)! 4. 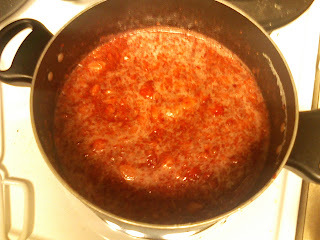 Mix strawberries and lemon juice together in saucepan over medium heat. 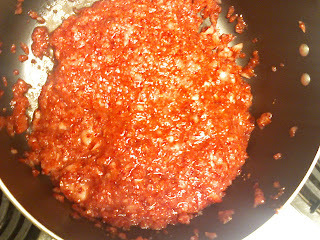 Add sugar and bring to boil for 1 minute. 5. Remove from heat and scrape off any foam that may have acquired on top. 6. Ladle into your hot jars. 7. Wipe rim, put lid on and screw on rings until JUST finger tight. Replace in boiling water. 8. Make sure jars are covered with boiling water. Place lid on top of pot and let boil for 15 min. Remove jars from water bath and let cool for 24 hours. Check lids to make sure sealed. And you are done!! How yummy does that look!? Oh my, I’m drooling a little. Thank you so much for coming to visit today, Delina. Double thanks for the recipe!